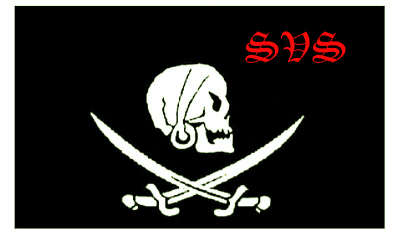 We are also a crew. The Pursuit (as seen below) is a 110' Twin Mast Schooner built in 1978. 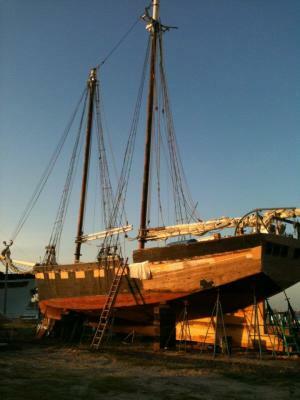 We are in the process of raising funds in order to refit her to a 1775 era Schooner to serve as the museum. We are not just a reenactment group. Whilst there are a great many Revolutionary War Reenactments, not many are by water, so we also cross over into the Pirate Realm of Reenacting as well as various eras from 15th Century up to World War II. We also branch into the historical lessons of the past with Living History, and thus provide lessons for education as well as entertainment. We are available for public and private functions for a nominal fee, as well as performing for acts of charitable fundraising for various causes. Our first focus is our mission to create a living history museum in the Philadelphia region of the Delaware. Our plan is to then broaden the scope to the majority of the Eastern seaboard. Currently our efforts are on historical outreach to the community as well as efforts to fund and fix the ship to open the museum. 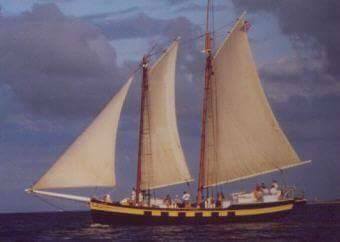 The Schooner Pursuit was designed and built in 1978 by Frank Fulchiero of Mystic, Ct. 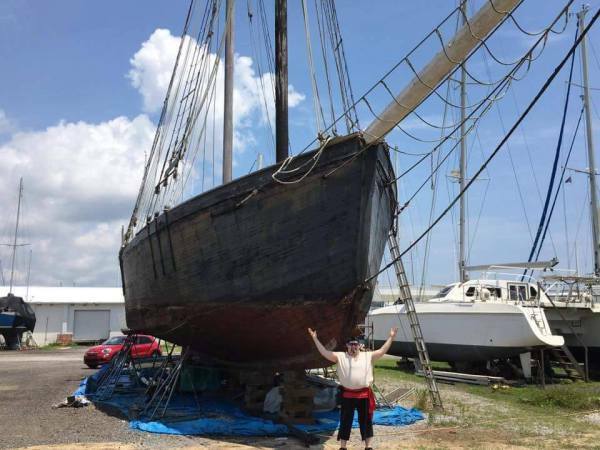 Her hull was built at the Tiffany Yacht Works in Burgess, VA (on the Chesapeake Bay) and she was finished at Mystic Seaport where she began her life as a weekend charter and teaching vessel named "Voyager." Her hull is 65' long, with the bowspirit that makes her 110'. Her beam is 20.5' wide, and from Keel to Quarterdeckshe sits 18'. Her frame is made of White Oak, her outer planking is Phillipino Mohogany (which is in need of repair), and her woodwork inside is made from Cypress, hand crafted by luthiers in the late 1970's. Around 2009 she ended her charter, teaching, and humanitarian operations when the 2nd owners allowed her to fall into disrepair. A few years later she was purchased, had her keel repaired and was sailed from Jacksonville, FL to St. Augustine, FL where in 2016 we purchased her. 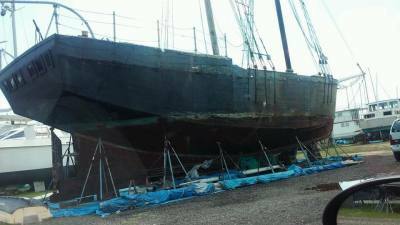 She faces damage from the elements while we are trying to raise funds to repair her, get her home to the Delaware River, and return her to seaworthy and operational condition. We need help to do this.